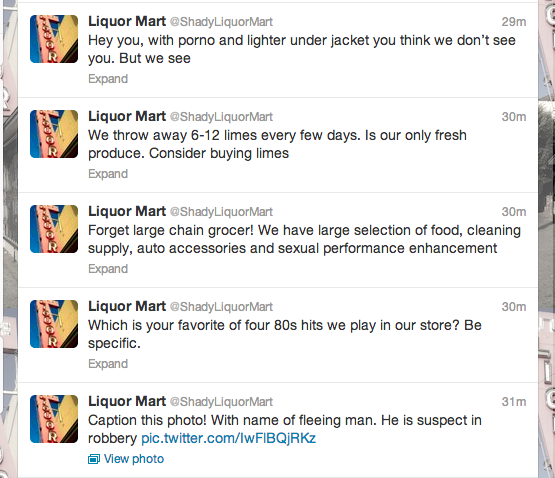 It’s pretty much a given nowadays that any business is getting their hands all sticky in the social media honeypot. 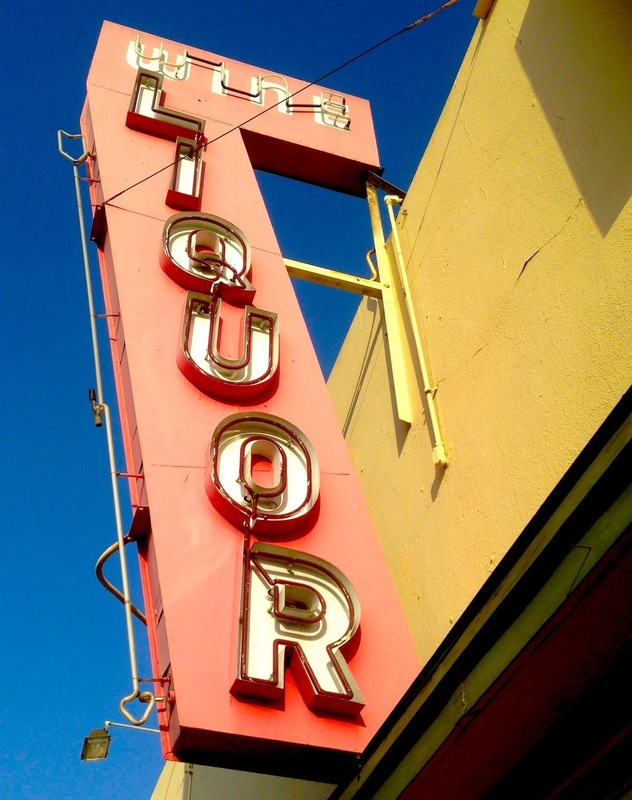 Not to be left out of the action, that shady liquor store around the corner from your house wants to expand its regulars beyond those drunk guys that you walk by every morning and the police that stop by every week or so. From the beginning, it’s been a fun place to learn more about what’s going on with the store. And maybe to help get a heads up about stuff you want to avoid as well as stuff you want to show up for. It’s kind of cute to feel like an insider about their relationships with the regulars. And, you know, everything else you’re now aware of about the place. If you e-connect with a business like this, you may even get the chance to go through the occasional tragedy together… as well as get their take on why we should all stay optimistic. 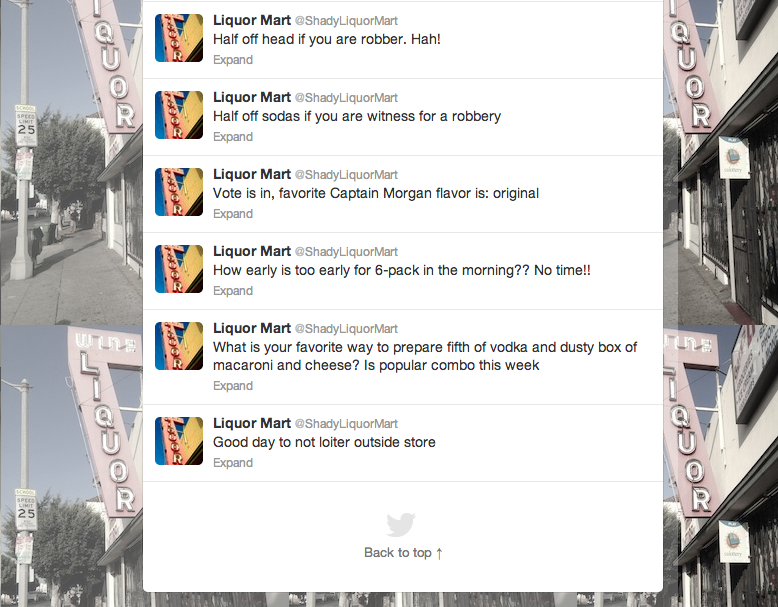 Tags: captain morgan, drinking, drunk, Gun violence, limes, liquor, Liquor store, neighborhood news, People, Social media. Bookmark the permalink.